Smartphones come with a stockpile of features. Some are pretty amazing and used regularly, while some just lie dormant. But then there are certain features that come in handy but are not widely known. 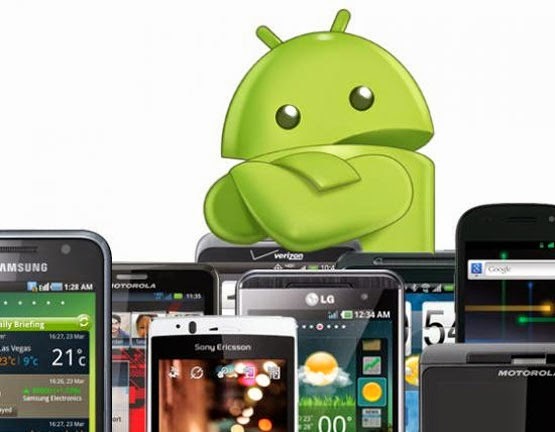 Here are 10 things you might not know your Android phone can do. Android devices use Chrome as the default browser, and this makes it possible to open the exact tabs you had opened on your desktop, right on your Android device. To do this, you simply need to be signed in on your Chrome account on desktop and your Android device will be able to access the open tabs on devices in which you are also signed in. Hit "Other Devices" from Menu or the New Tab Page and there they are. Heard of Android Beam? Well, in case you haven't, here is how it can change the way you exchange and share the content on your phone. Android Beam allows you to instantly exchange almost anything - apps, contacts, music, videos, photos, and even certain app-specific items like tagged songs in Shazam, all just by touching two NFC-enabled devices with each other. Hit Settings - More - enable NFC-enabled (or, for Samsung devices, Settings > Connections) and then turn on either Android Beam or S Beam right below the NFC option. Though this is a Samsung-specific feature, most people don't know about it. Smart Stay keeps your Android bright and awake for as long as you look at it. Hit Settings > Display > Smart Stay (for Samsung: Settings > Smart Screen > Smart Stay). Yes, you can send and receive texts without having your phone. But to do this you would have to download a free third-party app like MightyText. So, next time you leave your phone at home, you will still be able to send and receive text and media messages, from and to your phone number, on your web browser or tablet. This feature can save your lost phone. Android devices let you display your contact information right on your home screen. So, just in case someone wants to return your phone, it will be easy for them to track you down and take you out of your lost phone misery. Hit Settings > Security > Show owner info on lock screen (for Samsung: Settings > Lock Screen > Lock screen widgets > Owner information), then just type out your information. It's not only iPhone that does voice searches. Even Android is waiting on your word to go ahead and search stuff for you. Just click on the microphone icon in Google search and say "OK Google" to send an email, text message, know about your flight schedules, weather or traffic conditions or just type in what generally type in a search bar. Yes, you can even invert the existing color scheme of your Android phone. Hit Settings > Accessibility (under "My Device" in Samsung) > Negative Colors to make your Android a little more readable at night and a lot more trippy. This is a pretty handy trick if you own a Samsung device. You can take a screenshot by swiping the side of your hand across the screen. And to immediately silence a disruptive call, hold your palm over the screen. Just make sure that Palm motion is enabled. Hit Settings > My Device > Motions and Gestures > Palm Motion, where you'll find options for Capture screen and Mute/pause. This is the most underrated feature of Android, despite being pretty amazing. Just click a selfie and hit Settings > Security > Screen Lock and choose Face Unlock (for Galaxy devices: Settings > Lock Screen > Screen Lock > Face Unlock). You can also set a backup PIN or switch on "Presence Check," which requires you to blink if you are still paranoid about someone breaking into your phone. Gesture typing is pretty convenient as you require the engagement of only one hand. Just download the Google keyboard and write your messages by dragging your finger from letter to letter.